Combining some of the biggest names in horror with some truly terrifying original creations from the movie studio that birthed the genre in the first place, Halloween Horror Nights is not only Southern California’s premier Halloween event, it’s now a tradition and ritual unto itself. In this complete insider’s guide, we’ll walk you through everything you need to know in order to have the time of your life – er, gruesome death. 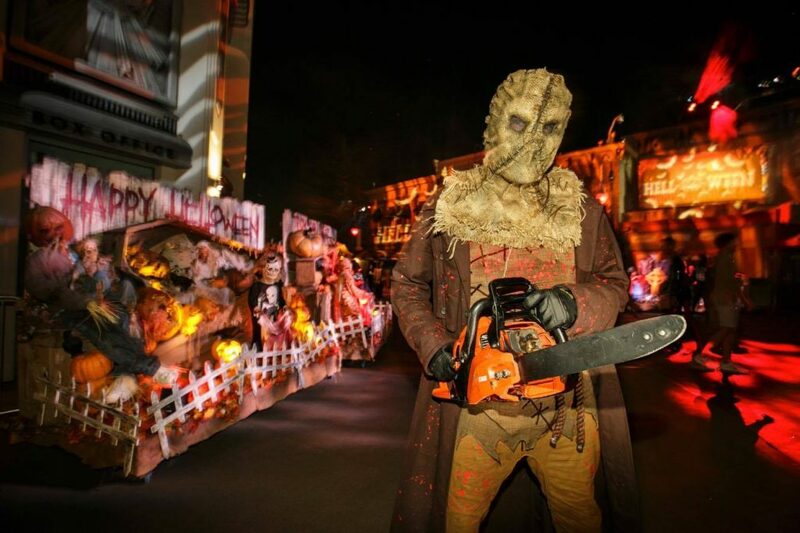 From saving time and money to providing an expert, handcrafted touring plan, everything you need to know to make your family’s descent into HHN a night you’ll never want to forget is here. With the studio being the birthplace of the horror genre, Universal prides itself on creating the most authentic and immersive Halloween experiences anywhere in Southern California. There is no safe space inside the theme park, forcing you to come face-to-face with terrorizing monsters, roaming maniacs, and the jaw-dropping War of the Worlds set on the historic backlot. But all that’s during the night – throughout the day, you’ll still have access to all the fun and thrills of the park’s world-class attractions. Entering its 14th year as Southern California’s premier Halloween event, we expect 2019’s Halloween Horror Nights to feature just as many mazes, scare zones, and live shows (not to mention a new Terror Tram experience) as last year’s did (that would be eight, five, and one, respectively), although we need to wait on confirmation from Universal to know for sure, of course. What more do you need to be scared out of your wits? We’re not certain yet how long Halloween Horror Nights 2019 will run, although we do know that the festivities will kick off on Friday, September 13. Keep in mind that most nights in October do sell out quickly, so we highly recommend purchasing your tickets at least one week in advance. Horror Nights is generally scheduled to start at 7:00 pm for general admission and close at 2:00 am. Please note that the Terror Tram does close earlier than the event itself, so check the park schedule given to you at the turnstiles for an exact time. Early entry is available every single night HHN is running and is a great way to jump-start your touring – and jump past the crowds. Eligible attendees can enter the park at 5:00 pm, with select mazes opening at 5:15, 5:30, and 5:45. Once you arrive at Universal Studios Hollywood, you’ll be given a colored wristband at the turnstiles, denoting your early access. Please note that the early entry period closes at 6:30, and then everything starts up officially at 7:00. How do you obtain early entry? Easy – by purchasing your ticket online, at no additional charge. 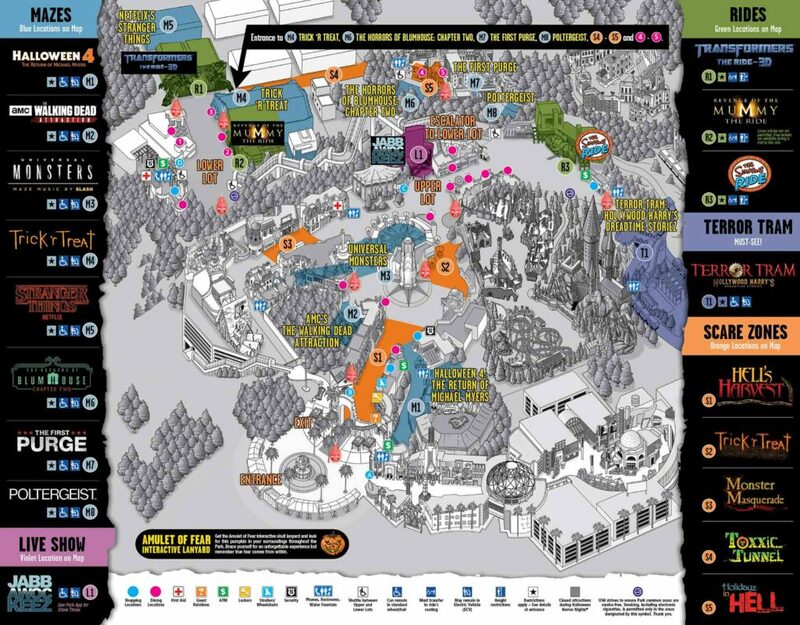 If you are an annual passholder or have purchased separate daytime admission to the park, you do not need to exit Universal Studios Hollywood to take advantage of early entry for Halloween Horror Nights; a kiosk is set up inside the entrance of the park by Guest Relations with team members ready to scan your park tickets. This usually begins at 4:30 pm. Please note that those who purchased Universal Express tickets or RIP Experience passes will need to exit the park to pick up their credentials at the main turnstiles. So, how busy will Halloween Horror Nights 2019 be on any given night? Since this is the most common question we’re asked, we want to address it straight away. Generally speaking, Saturdays are always busy; on the flip side, though, the first two weeks, Thursdays, October 31, and November 1 are always some of the least-crowded nights. Will The Wizarding World of Harry Potter be open during Halloween Horror Nights 2019 event nights? Although not officially confirmed as of yet, we’re fairly certain that The Wizarding World of Harry Potter will not be open for Halloween Horror Nights this year. But if you purchase the after-2:00 pm day/night combo ticket (more on this in just a moment), you will be able to access Hogsmeade up until 5:30 pm, so that’s at least something. NOTE: it’s going to be some time before Universal starts divulging 2019’s specific contents, including tickets. Until then, we’re going to keep 2018’s information up, just to give you a good idea of what to expect. Tickets for Halloween Horror Nights 2018 went on sale on August 7. Since there are several different options or permutations, we’re going to go step by step through each of them and explore what they are. Before we do that, however, we wanted to point out an important factoid to keep in mind when buying your admission: the prices fluctuate throughout the event, usually depending upon the expected crowd levels for that night (the busier the date, the more expensive its ticket becomes). If you know the date(s) you’re interested in going, we strongly recommend purchasing your pass as soon as possible. A general pass includes access to all HHN attractions (such as the mazes and scare zones) as well as the select rides that are operational during the event. Just be aware that daytime admission to Universal Studios Hollywood isn’t included with your pass. You can save up to $30 on a general-admission ticket by purchasing it online. If you wanted to have (limited) admittance to the theme park during the day, to get a few rides in before the madness starts at nighttime, this is the option for you. The combo pass grants you entry to Universal Studios Hollywood starting at 2:00 pm, and then lets you stay for the HHN action afterwards. You can save $10 on an HHN Express ticket by buying online. Also, if you get to the park and decide that its crowd levels are too much for you to handle, you’re usually able to upgrade from a general-admission ticket to an Express one – availability permitting, of course. If you want to save even more on a Universal Express pass for Halloween Horror Nights, the park is selling the After 11PM Universal Express pass, starting at $59 a person, and is only offered in-park. Keep in mind that there are limited quantities available, and may not be available on the night you attend. This permutation combines two of the above ticket options: you get to play in the theme park starting at 2:00 pm, with one-time front-of-the-line access to the shows and rides, as well as one-time front-of-the-line access to the event’s mazes, shows, and rides. All 31 HHN nights are yours for the taking, no matter whether it’s your first visit or your, well, 31st. Save up to $36 on a general-admission ticket, depending – of course – on the night selected. 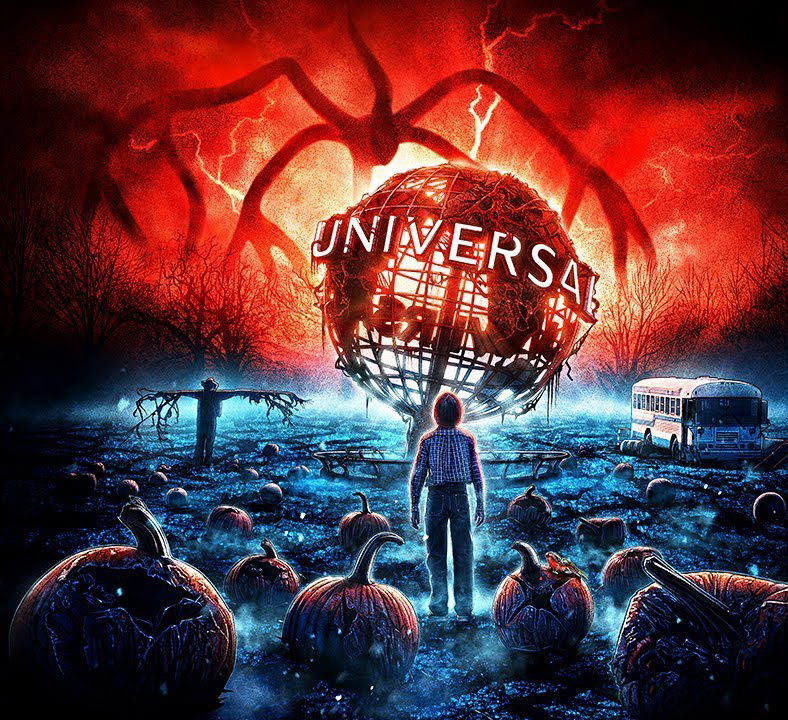 The Full Day/Night Combo ticket, which costs $144, includes full daytime admission to Universal Studios Hollywood and admission to Halloween Horror Nights. This option is great if you want to bring friends and family to the park and save money on admission for both the park and the event. The mazes that Universal conjures with a surprising amount of detail and, in the case of intellectual properties, authenticity are the main draw of Horror Nights each and every year. And in 2018, we got a record-breaking eight haunted houses! (Well, eight if one includes the Walking Dead permanent attraction, that is – which Universal most certainly does.) While not confirmed as of yet, we’re hopeful that we’ll see this many again for this year’s event. These haunts are situated in any open space that is currently available, such as unused queue areas or the Universal Studios backlot. Unlike at the event’s older and bigger brother, Halloween Horror Nights Orlando, where guests are admitted into the mazes in a constant “conga” line, the West Coast version has the luxury of being able to “pulse” attendees in small groups, heightening the experience’s immersion factor – and its scares. Each house takes about three to five minutes to walk through. Due to popular demand, the flagship maze from last year is making a return appearance. 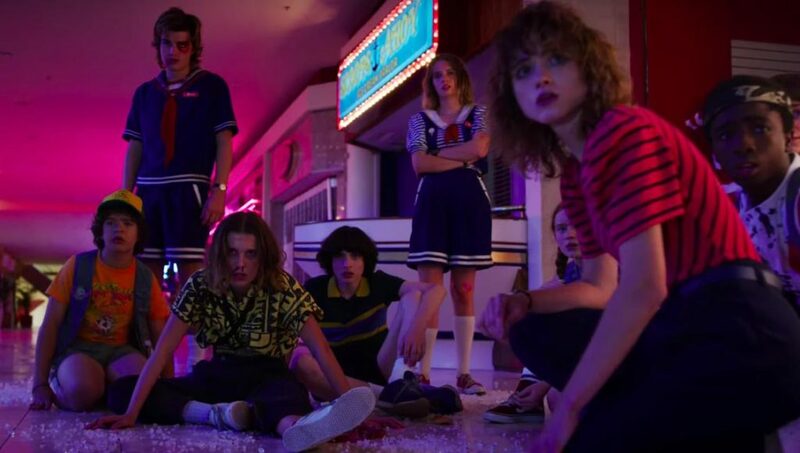 Guests will relive all of the second season’s greatest hits, from the attacking packs of Demodogs to the unrelenting pursuit of the Mind Flayer – and then, in something of a surprise twist, they’ll venture into at least part of the upcoming third season’s contents, centering around the new Starcourt Mall (which will be one of the main locations for Stranger Things 3 when it drops on Netflix this July). The popular scare zone from last year’s event is back, bigger and better than ever before. Prepare to battle your way through a heart-snatching Cupid, a demented Fourth of July “killerbration,” ravenous turkeys who eat you for Thanksgiving, and – of course – a chilling Christmas, replete with trees that are decorated with dangling human body parts as ornaments. Best of all, this new haunted house comes with its very own scare zone that’s themed to a “creepy Christmas,” which, presumably, will continue one of the very last scenes from the haunt proper. Okay, okay – no, technically, The Walking Dead isn’t a part of this year’s Horror Nights, but this year-round haunted house was directly inspired by the television show’s long presence during the event, and it’s given extra resources to coincide with HHN. Think of it as a (permanent) bonus maze. Read our Walking Dead guide page here. Stopping you mid-breath as you walk between attractions, scare zones are essentially outdoor haunted houses set up in open areas around Universal Studios Hollywood (for example, in the backlot area of New York). The decorations and effects are usually not quite as elaborate as those seen in the mazes, but there are still many techniques employed to get screams out of guests – and the “oversized” aspects of some scare zones, allowed by their position outdoors, often make them as thrilling as the average haunted house. This is particularly true for the ghastly part of you that likes to watch other people scream their heads off! Holidayz in Hell takes a twisted trip with some of the most iconic holiday icons, such as an evil Easter Bunny and the Krampus lurking around the backlot. Toxxic Tunnel features underground workers who have succumbed to dangerous chemicals that have transformed them into radioactive monsters that are ready to rampage. Set during a pagan harvest festival to celebrate the dark spirit of Halloween, the streets are filled with voodoo dolls that have been brought to life and are looking for human sacrifices. Guests will enter French Street and witness the “Danse of the Dead” masquerade ball that’s inspired from the Universal Classic Monster movies The Phantom of the Opera and The Hunchback of Notre Dame. 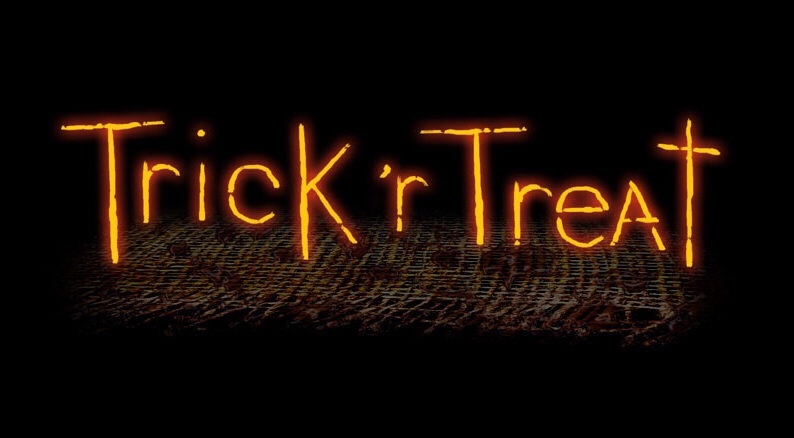 The characters of the cult film Trick ‘r Treat invade the Upper Lot as Sam and his friends do anything to ensure that the traditions of the holiday are upheld. What is called the Studio Tour during the day becomes the Terror Tram at night, exchanging production stops for a special haunted experience. 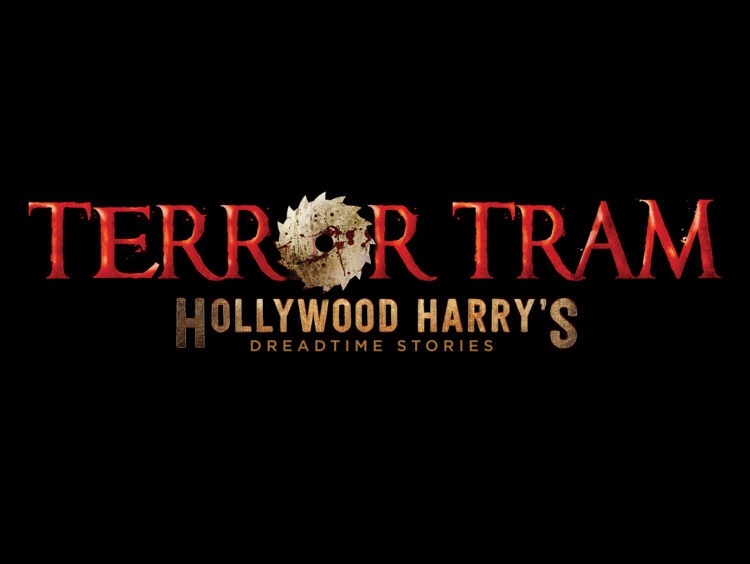 For 2018, the Terror Tram has been given over entirely to Hollywood Harry, the “phantom clown” who is infamous for haunting the Universal Studios backlot and who has come back now to recreate his long-lost children’s TV show from the ’50s. Called Hollywood Harry’s Dreadtime Stories, the attraction will revolve around five different bedtime stories, with each featuring the likes of “chainsaw-wielding monsters, bloodthirsty cannibals, rotten-corpse scarecrows, a merciless torture factory,” and – everyone’s favorite – murderous clowns. It’s been estimated that the whole experience takes about 15 minutes to complete, minus all the waiting for the individual elements (such as that famed Pyscho house photo op) that steadily accrues as the night wears on. Please note that, during Halloween Horror Nights, the normal Studio Tour – including all of its various mini-attractions, such as King Kong: 360 3D and Fast & Furious: Supercharged – is suspended and entirely replaced by the Terror Tram. Finally, we have one last friendly reminder for you: the line for the tram closes early every night, at 11:15 pm on Wednesdays, Thursdays, Sundays, and Halloween night and at 11:45 on Fridays and Saturdays. Halloween Horror Nights features a unique, live show inside the Castle Theater, which is home to the Special Effects Show during the day time. For this year, it’s the Jabbawockeez once again, marking their third straight appearance at the event. Billed as one of the country’s best hip-hop dance groups, the Jabbawockeez are best known for their signature white masks and synchronized dancing, which all comes together with their unique brand of humor. This year, that brand of humor will be pointed directly at Americans’ internet usage, as the interstellar-traveling Jabbawockeez are here to save the planet from a society that is obsessed with social media. The first show is typically at 6:15 pm, with additional performances scheduled for about every hour and fifteen minutes after that (you can double check on HHNWaitTimes.com). Make sure to arrive at the theater at least 25 minutes before show time in order to guarantee yourself a seat. Now might be a good time to go over which regular daytime attractions are – and aren’t – open for Halloween Horror Nights. Now for those stalwarts that will be down at nighttime: Despicable Me: Minion Mayhem, Super Silly Fun Land, the Studio Tour (which includes King Kong: 360 3D and Fast & Furious: Supercharged), The Wizarding World of Harry Potter, DreamWorks Theatre Featuring Kung Fu Panda: The Emperor’s Quest, WaterWorld, Special Effects Show, and Universal’s Animal Actors. Stranger Things has not only proved to be a gamechanger for Halloween Horror Nights’s maze roster and selection of merchandise, but also – in an interesting twist – its culinary lineup. Although the offering of exclusive bites and drinks has been a growing trend over the event’s past few years, it’s really taken off in 2018, and it’s all thanks to a certain Netflix series that, it’s now safe to say, acts as the unofficial theme or icon for this year’s HHN. But let’s not get too far ahead of ourselves. 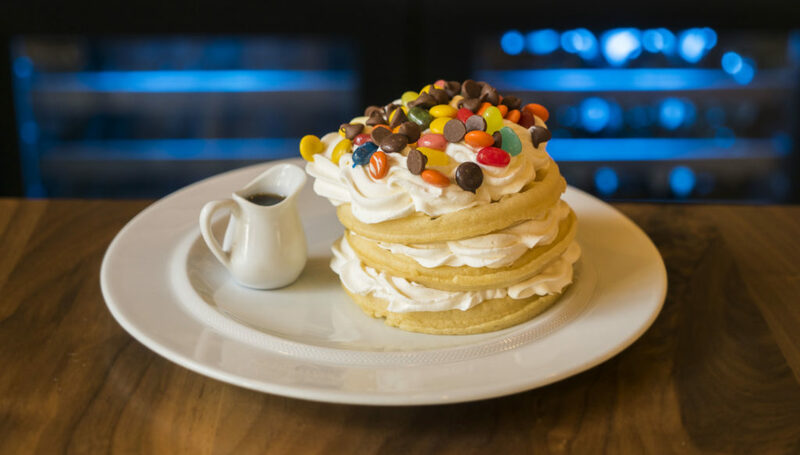 No survey of Horror Nights’s gastronomical selection is complete without also taking CityWalk into consideration, whose restaurants are also eager to get into the horror vibe. We’ll run down these deals alongside all of the in-park items now. Many of the restaurants inside Universal Studios Hollywood are operational during Halloween Horror Nights, and they tend to serve carnival-style treats, such as deep-fried Oreos and Halloween-themed donuts. Alcoholic drinks, meanwhile, are served at Duff Brewery and Moe’s Tavern. In addition, mini meatball subs, loaded mac ‘n cheese, stir fry noodles, and Voodoo doughnuts are on hand throughout the park. Halloween Horror Nights is not family-friendly, as the entire event features gory content as well as scary monsters – it is, as such, strongly recommended only for guests over 13 years of age. During the daytime, there are no props staged around the park, so there should be no worries about children getting scared while touring. If you’re interested in pursuing a family-centered activity during the day before arriving at HHN for the night, you and your children can always make a quick stop at SoCal’s other themed destinations: SeaWorld San Diego, Legoland California, Knott’s Spooky Farm (which is different from the HHN-esque Knott’s Scary Farm), and, of course, Mickey’s Halloween Party at Disneyland Resort. We have an entire community of Universal and Horror Nights fans discussing the event right now! When you’re done here, join us for vacation planning and more in our Facebook community.